On Friday, March 23, 2018 a construction company had a valuable trailer stolen. This isn’t uncommon. Heavy equipment and trailers are stolen all the time. What made this theft different is there was a trailer GPS tracking unit on it. The trailer was take from a small town in Texas and put in a backyard in Houston, Texas. The owner of the trailer knew the exact location. Not just an address, the exact location in the backyard. The construction company equipment several of their trailers with the Cal-Amp TTU-720 trailer tracking unit. This equipment tracker is unique because it has a 5-year battery life. This device updates daily on its own and can be put into aggressive tracking mode. That is the brilliance of this trailer tracker. It doesn’t need a power source and no wires. When the police showed up to the thieves’ door, you can only imagine their surprise. They had a clean getaway. Nothing was going to stop them. It’s just that pesky technology that is really making it tougher on criminals. Why is asset GPS tracking important? 69% of construction equipment installed with GPS tracking were recovered within 24-hours. GPS and Track offers solutions for almost any asset. 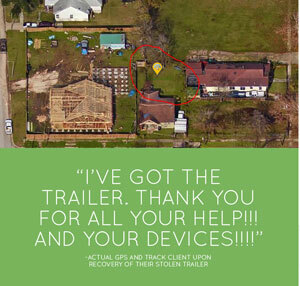 Trailer tracking, equipment tracking, vehicle trackers, and much more. Equipment GPS trackers are simple to use. Just need to login into our easy to use website. You will be issued a username and password. The device communicates with satellites to get an exact location. That information is sent to our servers using the data network which is included in your service. GPS and Track is the leader in asset tracking. With new GPS tracking devices and services coming to the market soon. Updated features on the tracking GPS platforms constantly. 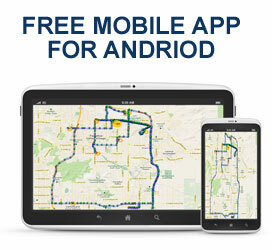 GPS and Track has been viewed as the innovators in GPS tracking technology.